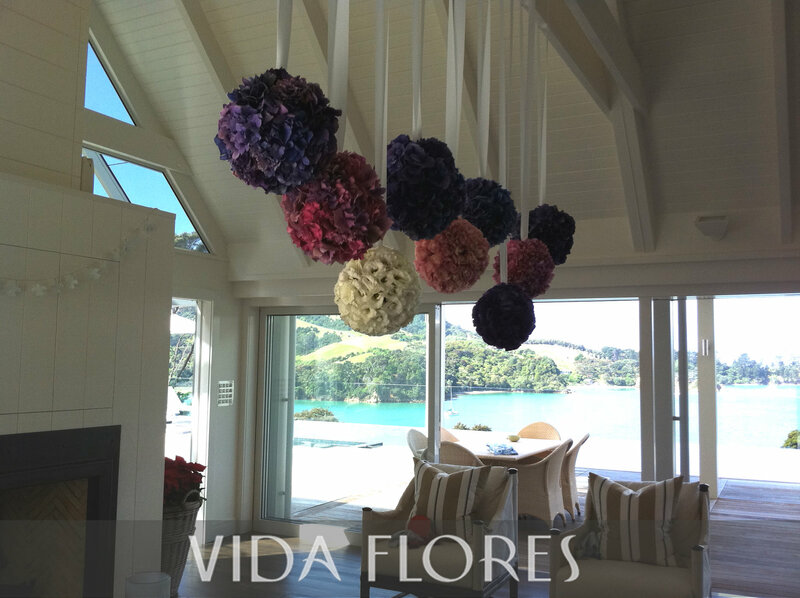 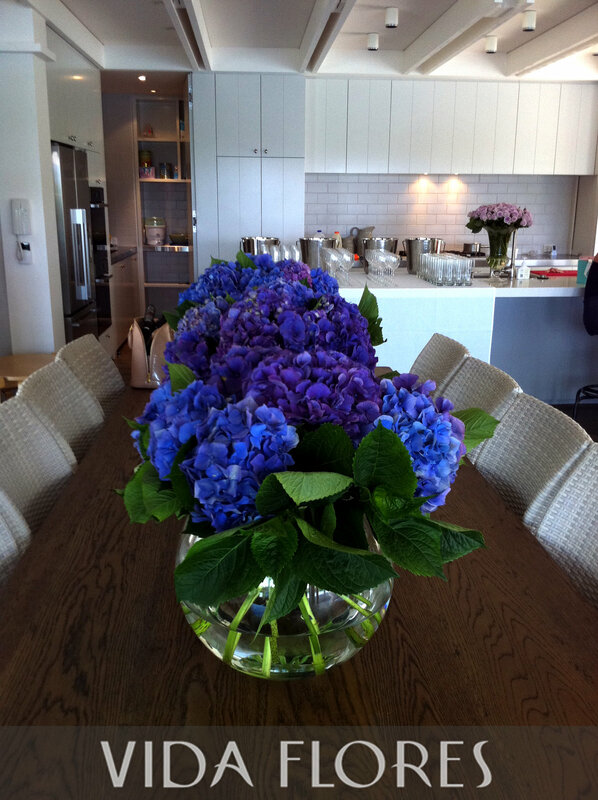 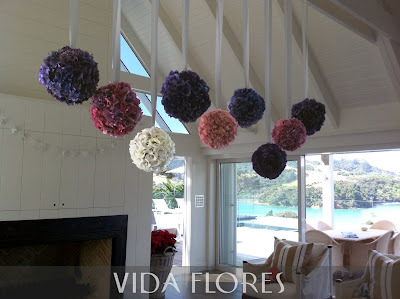 Hydrangea & Lisianthus hanging balls in the living area in pretty pinks & lavender tones. 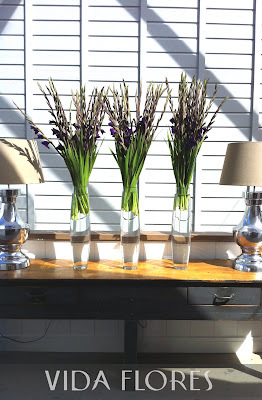 Striking gladiolae lined the dresser in the entrance way. 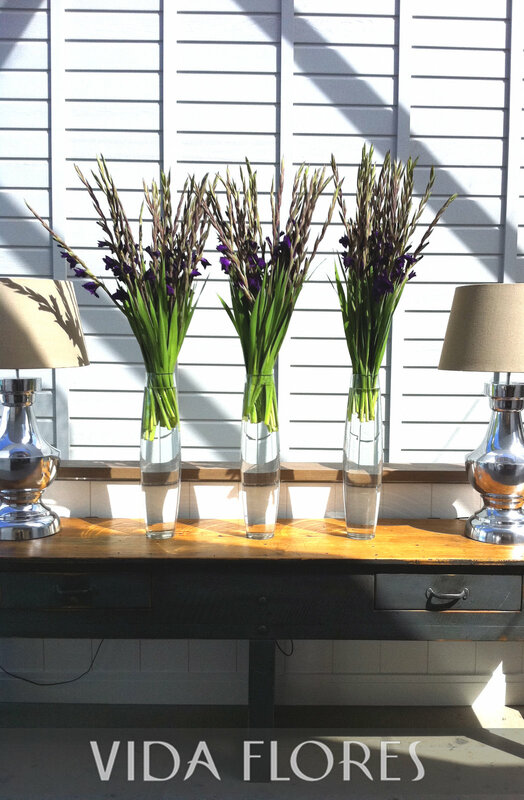 Perfect for the heavenly natural light cast through the roof.